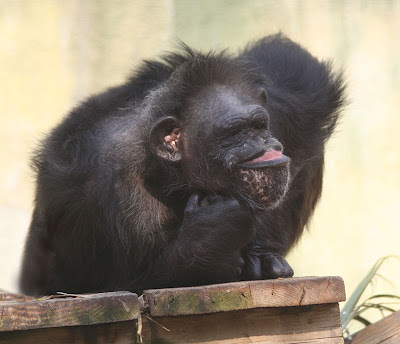 Chimpanzees are supposed to have upwards of 99.4 of their DNA in common with us humans. 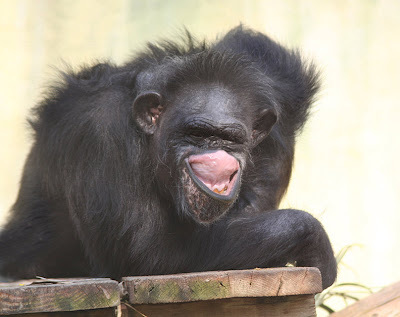 But in looking at this guy, I think I've got more in common with chimps than the average human, maybe pushing 99.9. If I had lips like that, that's how my face would look almost all day long in the office. Come to think of it, I might be doing that anyway. That'd explain some of my coworkers' reactions to me of late.